The technology, media and telecommunications (TMT) practice at Deloitte, the business advisory firm, has today announced its predictions for the UK TMT sector in 2019. 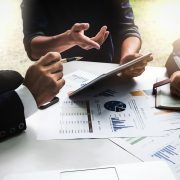 The news comes following the launch of the eighteenth edition of Deloitte’s TMT Predictions 2019 report. c.20 handset vendors will launch 5G-ready devices in 2019, with 50,000 5G-enabled handsets to be shipped in the UK by the end of the year. Deloitte predicts that smart speakers – internet-connected speakers with integrated digital assistants – will be the fastest-growing connected device in 2019, with 164 million units to be sold globally, up from 98 million in 2018. The smart speaker market is expected to grow by 63% year-on-year to £5.6bn in revenue, with a global installed base of a quarter of a billion by the end of 2019. As of mid-2018, 12% of UK adults, approximately 6.2 million, had access to a smart speaker. This compares with 22% of adults in urban China and 19% in the USA. With 8% of global shipments reaching the UK, UK revenue for smart speakers will reach £44.8mn ($56.7mn) in 2019. Paul Lee, global head of research for technology, media and telecoms at Deloitte, comments: “Smart speaker adoption has seen phenomenal growth in recent years. With improvements continuing to be made, demand for smart speakers could be in the many billions of units, possibly even higher than for smartphones. In the future, smart speakers have the potential to be installed in every room in a house, hotel, office, school and even beside every hospital bed. “Significantly, smart speakers have, literally, a world of opportunity for growth in non-English-speaking countries. So far, the vast majority of these devices have been sold to markets with English as the primary language. As linguistic software improves, demand will continue to soar, particularly if these speakers appeal to customers speaking Chinese, French, Spanish, Italian, and Japanese. Radio, the 99-year old traditional medium, will maintain its hold on UK media consumption, with 47 million people listening to radio weekly or more often. Global radio revenues are forecast to increase modestly to £31.6 billion, still many multiples of emerging media formats such as eSports, whose revenues are likely to be 40 times smaller. Globally, Deloitte predicts that nearly three billion people will listen to radio weekly in 2019, and that total radio revenue will reach £31.6bn ($40bn), a one per cent increase from 2018. The UK is the fifth largest market globally for annual radio revenues, with revenues of £1.3bn ($1.6bn) in 2017. The US is by far the largest market (£17.2bn/$21.8bn) followed by Germany (£3.1bn/$3.9bn). Deloitte predicts that sales related to 3D printing by large public companies will surpass £2.1bn in 2019 and £2.4bn in 2020, growing by 12.5% year-on-year, more than double its growth rate compared to just a few years ago. This growth will be driven by faster printing speeds, larger printing volume and, crucially, an increase in the number of materials able to be printed. Metal is expected to overtake plastics and represent more than half of all 3D printing within the next two years. Lee comments: “In 2019, 3D printing will finally start to make its mark. Companies across multiple industries are using the technology for more than just rapid prototyping. 3D printers today are capable of printing a greater variety of materials, which mainly means more metal printing and less plastic printing. Plastic is fine for prototypes and certain final parts, but the trillion-dollar metal-parts fabrication market is the more important market for 3D printers to address. 2019 will also see the first mass-market generation of 5G-enabled handsets go on sale. Deloitte predicts that around 20 handset vendors will launch 5G-ready handsets in 2019, with the first available in Q2. Approximately one million 5G-enabled handsets will be shipped by the year’s end, out of a projected 1.5 billion smartphone handsets which will be sold in total in 2019. In the UK, 5G shipments will number around 50,000. To hear about the above TMT Predictions and more, Julian Rae and Paul Lee will be hosting the Deloitte Telecoms, Media & Technology Predictions Breakfast Event in Cambridge on 13 February at 1 Station Square, Cambridge, CB1 2GA. For more information please contact [email protected].